Disclosure: This post is sponsored by ProYo. As always, all thoughts and opinions are my own. Right before Expo East this year, I was introduced to the one of exhibitor products, ProYo, a protein-packed frozen yogurt pop. I really find myself needing to up my protein and not just eat sugar-packed protein bars on-the-go, plus I love ice cream & frozen yogurt. It seemed like a win-win and spoiler alert: they taste delicious! 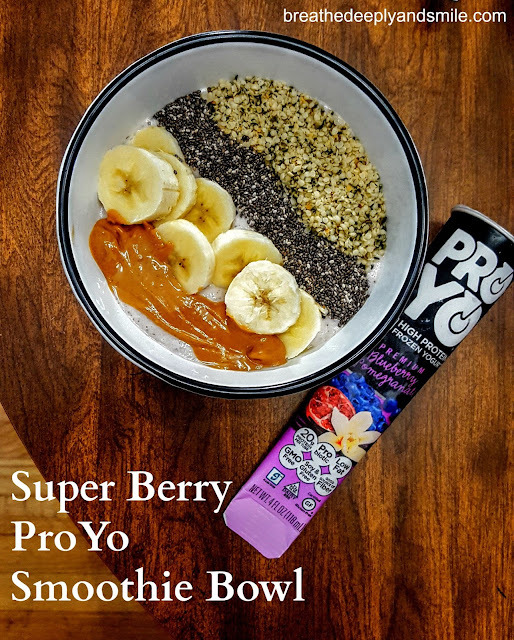 Each 4 oz ProYo tube is made with creamy probiotic yogurt packed with 20g of protein, 2g of fat, 3g of fiber, and only 140 calories plus is rated as low-glycemic. It's also gluten-free, soy-free, and non-GMO. I love that I get an extra helping of probiotics to help my tummy out as well as 25% of my RDA for calcium. The pops come in various flavors including Vanilla Bean, Dutch Chocolate, Banana Vanilla, and Blueberry Pomegranate. Truthfully, I can tell the pops have that slight whey/protein taste,but despite this I still had to tell my boyfriend to keep his hands off of them! Despite being delicious right out the package, I've found that the recommendation on the ProYo boxes to blend with water like a smoothie has been one of my favorite ways to eat them. It's great make 'banana ice cream' with frozen bananas and pop one of these in there for a different flavor plus extra protein. When I'm feeling a little more ambitious to whip up a pretty food-blogger inspired smoothie bowl, I've been making a variation of the one I'm sharing on the blog today. I really prefer eating thick smoothies out of bowls and love being able to top them with all sorts of goodies (chocolate chips is a favorite topping!). This is a berry ProYo smoothie bowl topped with superfoodie toppings like chia seeds. 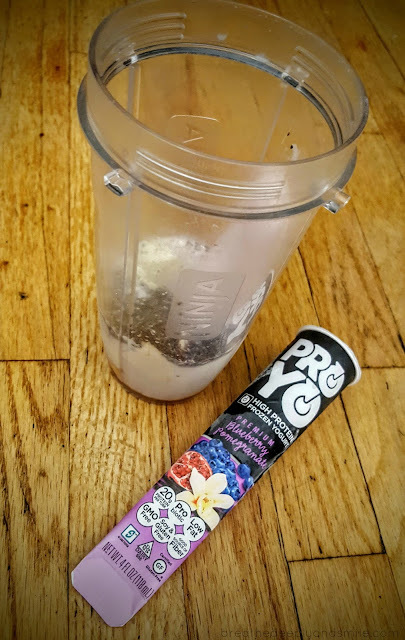 – Squeeze ProYo Blueberry Pomegranate Tube into blender. – Add 4 oz of milk and handful of ice cubes. – Blend all ingredients together and pour into a bowl. It maybe a little thick so use a spoon to help. – Slice ½ banana and place on top of bowl. 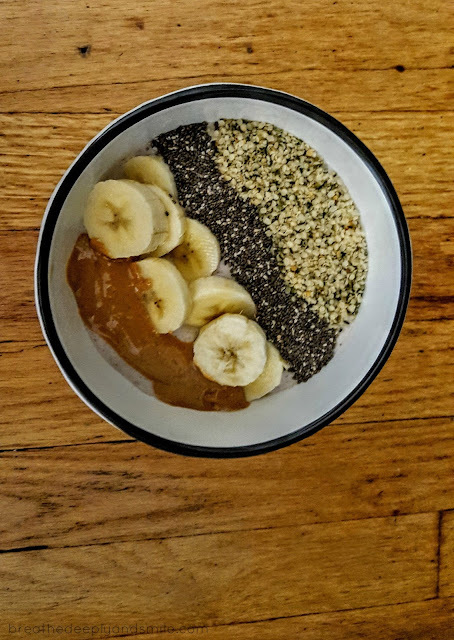 Top bowl with peanut butter, chia, seeds, hemp seeds, and anything else you’d like! – Eat immediately and enjoy! Do you enjoy drinking smoothies or eating them out of bowls? What is your favorite snack topping? Disclosure: I was sent a complimentary Bloom VoxBox through my partnership with Influenster. I was sent two complimentary packages of bagels to review from Sweet Note Bakery. As always all thoughts and opinions are my own. Yikes I'm still alive, guys. A crazy busy month of schoolwork and work plus 3 weeks of assignments due like everyday and now finals has me barely hanging out here in my corner of the internet! Don't worry I'm still running and eating. 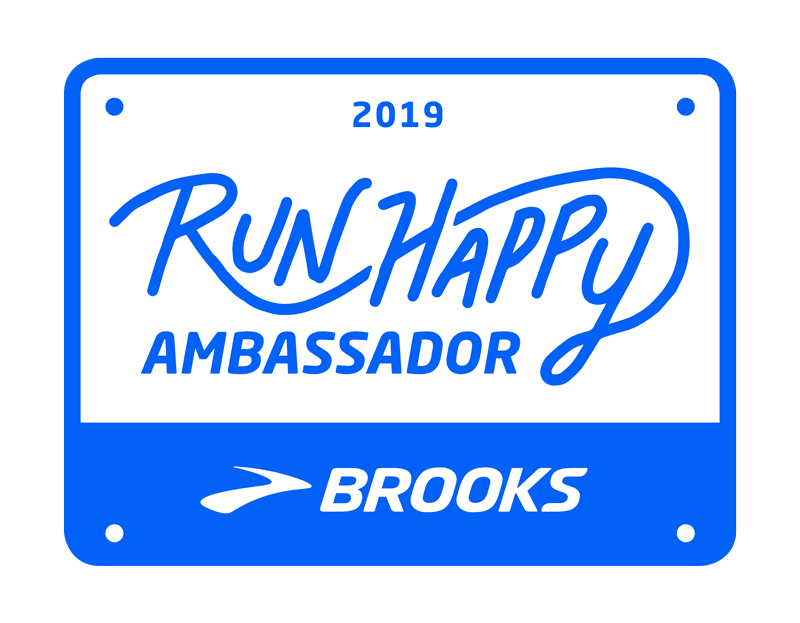 Just less running and more eating lately. I'm back today with some of my favorites from the past week. I still have finals week brain so I'm looking forward to having a really relaxing weekend! 1. Favorite Beverage: Coffee, Espresso, etc. Duh, graduate school and end of the semester means lots of coffee beverages all day, everyday. You have pretty much always been able to find me lately with a 32 oz. Nalgene full of water and a coffee in the other hand. 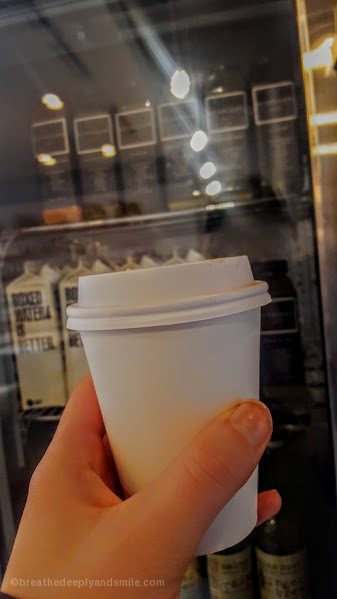 I love popping over to Ceremony Coffee in the afternoon for a cortado or coffee. You can also grab some Gundalow Juice while you're there which is a bonus! I love carbs but know I feel better when I can limit some gluten. When I tried these bagels on a breakfast sandwich at my local bagel shop (holla THB!) I was pretty impressed with the texture. Eventually I chatted Sweet Note Bakery up on Twitter (Philly-area love!) and sampled more of the flavors at Expo East this past year. 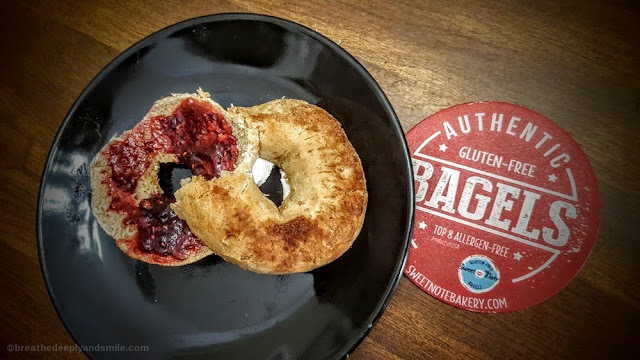 Their New-York style bagels are top 8 allergen free including being vegan and gluten-free They were nice enough to send me a couple bags of frozen bagels which have been an awesome breakfast I can take with me out the door these past few weeks. The snickerdoodle bagel picture here has all this ooey gooey cinnamon sugar on the outside which is SO yummy especially when made into a PB&J bagel. 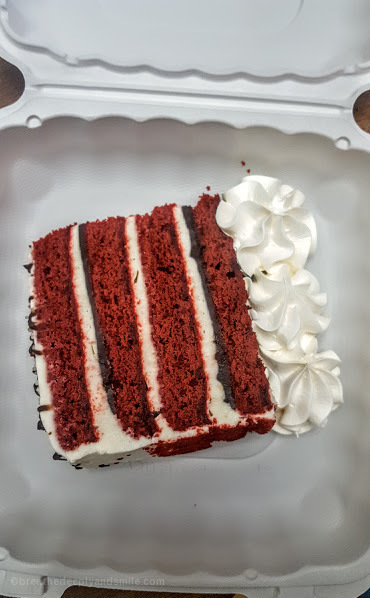 It was my birthday last week on Cinco de Mayo so I was treated with this huge piece of red velvet cake (best in the city as introduced to by Sarah) after a birthday afternoon run. It was marvelous, and I ate every bite. Cake is good running fuel, right? The next day I ate some of my ice cream cake and proceeded to eat a slice for the next 3-4 days straight. Dessert is the best, especially when it's your birthday. 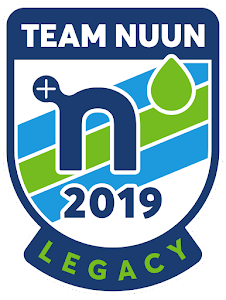 The few weeks I've been going to a spin class at Rev once a week, and it's reminded me of a couple things. One-spinning is a sweaty awesome workout. SO sweaty. Two- spinning is a great complementary workout for running. 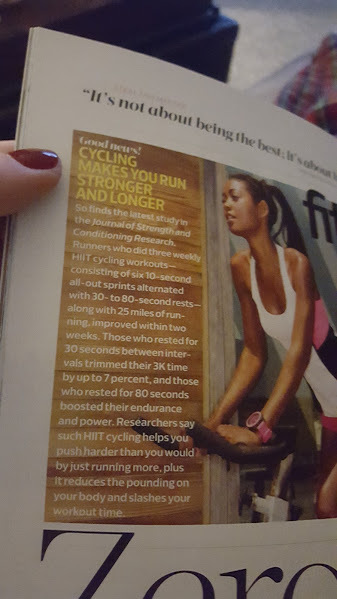 This blurb I saw in an issue of Women's Health magazine only confirms that! 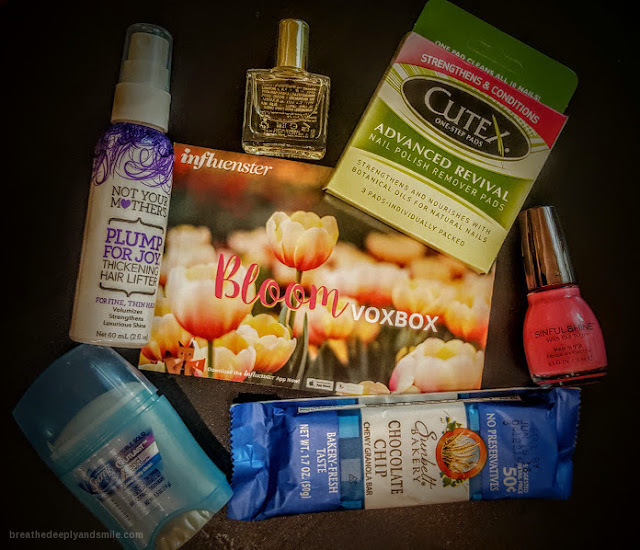 Through Influenster I was picked to get the Bloom VoxBox, which was actually the perfect little package for finals week. I mean of course I needed a study break to paint my toenails with the Sinful Shine nail polish. Let's be honest, the chocolate chip Sunbelt Bakery granola bar didn't make it very long either! What is one of your favorite breakfasts, foods, or workouts of the week? This post was linked up with my fave Friday Linkup ladies Courtney, Mar, and Cynthia as well as Nicole, Jill, and Amanda . Disclaimer: This is a sponsored post with Mighty Nut through my association with Fit Approach. As always, all thoughts and opinions are my own. I'm attempting to survive midterms and a million things after travelling for over a week so posts will still be scattered. I'm happy to have some fun new products to try out that fit into my busy lifestyle and taste delicious. 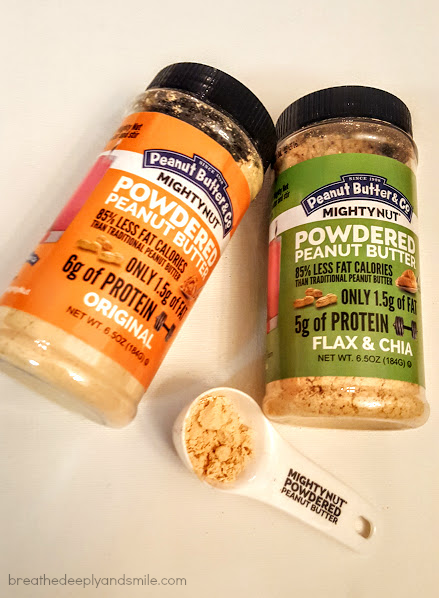 Thanks to my partnership as a Sweat Pink ambassador with Fit Approach, I was given the chance to try the new Mighty Nut Powdered Peanut Butter from the Peanut Butter Co. I'm a peanut butter addict so I have had a chance to try a couple other brands of powdered peanut butter that are out there. I received the original and the flax & chia blend powdered peanut butters, but it also comes in chocolate and vanilla flavors. The flax and chia seed ones doesn't taste too different from the original-it just happens to have the nutrition powerhouses that are flax and chia seeds. Powdered peanut butter is pretty much just peanut butter from which they sucked out all the fat and oil. It contains 85% less calories than regular peanut butter but still has all the delicious peanut butter flavor plus it still packs 6g of protein per serving. I love good fats, but find that powdered peanut butter is a nice alternative if you like to have multiple serving of nut butter a day. 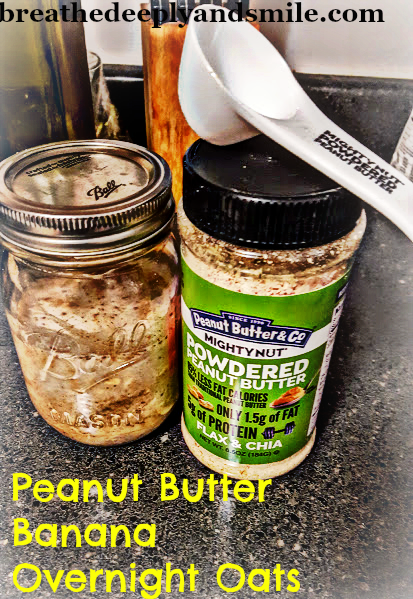 You can mix it with a little bit of water to make it into a spread, but I find it's really great to use in smoothies and recipes to cut on calories but still give me lots of that delicious peanut butter taste which I love in pretty much anything. With early classes for school, most mornings I am literally running out the door to make it there on time. I have started prepping overnight oats for breakfasts that I can eat in the car or in the beginning of class. I love making different variations of them depending on what I have on hand. They are super satisfying and something quick and easy to make the night before. If you aren't feeling the cold oats, you can eat heat the oats up in the microwave in the morning as well! 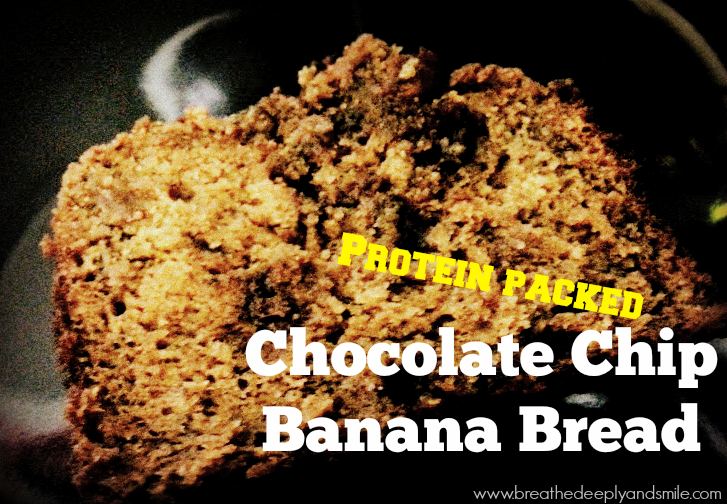 Mix all ingredients, using only half of the banana, together in a jar or container with a lid. Store in refrigerator overnight. Before eating,stir and then top with remaining 1/2 banana, sliced. Enjoy! I loved the texture, flavor and nutrition stats of Mighty Nut. Compared to other brands I thought the powder clumped less and had a really great taste. It's your lucky day because you can win some for yourself right now. Mighty Nut was nice enough to allow me to give away a jar of Mighty Nut in any flavor of choice plus a cute little measuring spoon to one of my readers!. 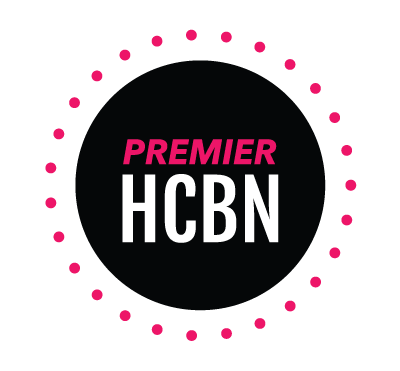 Enter using the Rafflecopter below before October 27, 2015 12 AM EST. Sorry, US only, and winner can only win one Mighty Nut & Fit Approach prize. 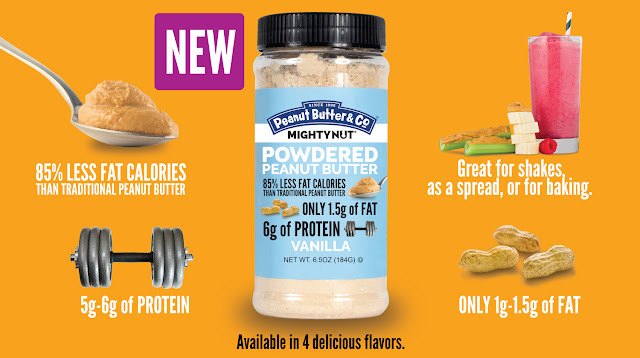 Do you use powdered peanut butter? What's your favorite breakfast to prepare ahead of time? Since it's already October I know everyone is all like OMG PUMPKIN EVERYTHING but my love for bananas never wavers. So last week when I spotted a couple dark brown bananas begging to be eaten, banana bread was exactly what I was craving. I am always saving and pinning banana bread recipes because it's something I can't just get enough of. I used this recipe as a starting point and changed it to so it packed a protein-punch (and to accommodate what I had on hand!). It came out super moist, sweet, and delicious. Somehow my boyfriend and I made a whole loaf disappear in a matter of days. The only question now is when I'm going to get my hands on some overripe bananas to make it again. Disclaimer: Through my connection with Fit Approach and as a Sweat Pink Ambassador, I received a complimentary packet of Procakes. As always, all thoughts and opinions are my own. Today I'm sharing two of my favorite recent breakfasts. I'm usually a big egg scramble or bowl of oatmeal with nut butter kinda girl, but I like to switch it up. Breakfast is my favorite meal of the day after all. Like I told you earlier this week, I love pancakes and waffles. Sadly I can't be eating diner pancakes the size of my face everyday so I often turn to various protein pancake recipes as a healthy, protein-packed way to start my day. Now while I've had some pretty good protein pancakes, I always know I'm eating protein pancakes and not the real deal. Let's be honest. The texture is weird because of the flour (or lack thereof), egg whites, or protein. They are either too dry because of coconut flour, too eggy, or fall apart when I try to flip them. You also generally have to cook them low and slow because of the batter which usually isn't an option for me before work. I was really excited to try out ProCakes which calls itself "comfort food for the fit inspired" through my Sweat Pink Ambassadorship. 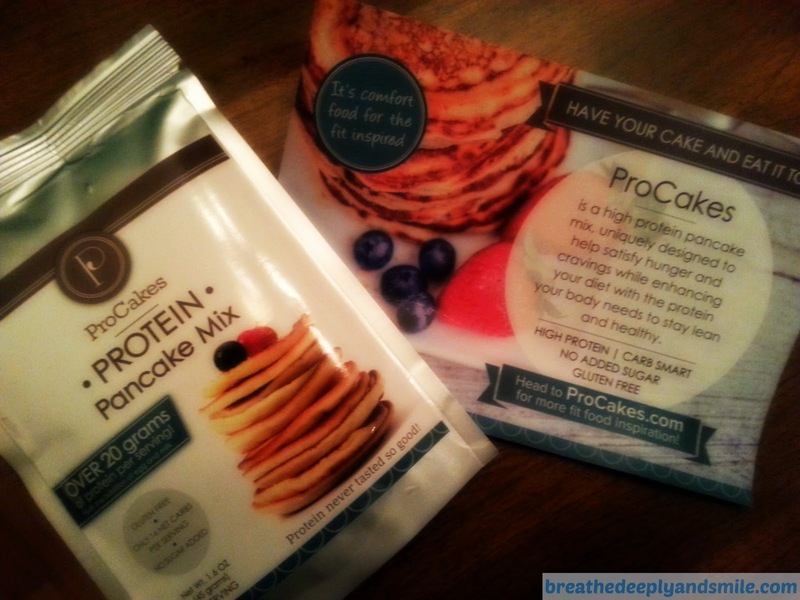 ProCakes is a protein pancake mix which is high in protein, carb-smart, gluten-free, and free of added sugar. I love that it makes whipping up a plate of pancakes a breeze- all you add to the mix is 1 egg and 1/3 cup of milk! You can check out the ingredients here, but the mix alone is only 165 calories with 13g of protein. 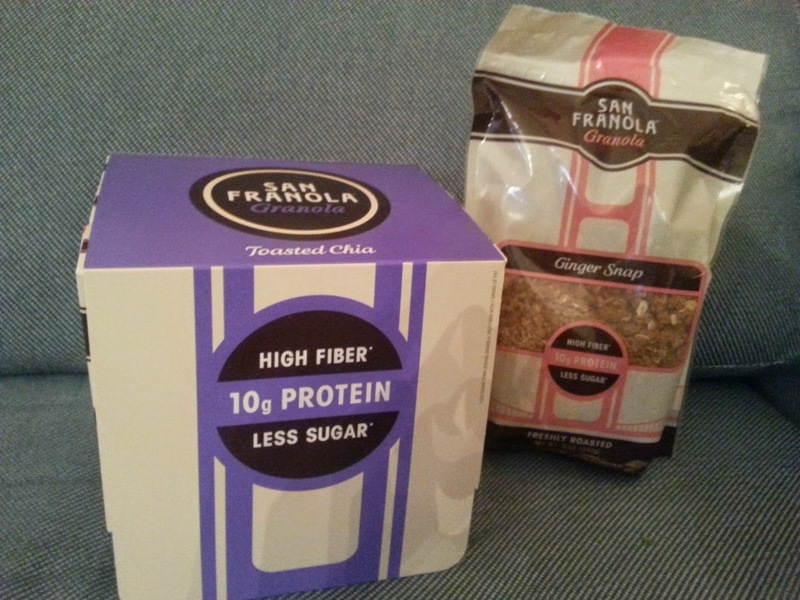 Disclaimer: I was given boxes of San Franola granola to review and giveaway on my blog. I received no other compensation for this post. All thoughts and opinions are my own, as always. Congrats to Ashley who won my Bakery on Main oatmeal giveaway! Granola is a delicious snack or breakfast option, but I can't have too much of it in the house. If I buy a bag of it my boyfriend and I are going to finish it in a matter of days. I also make a mean peanut butter granola which I enjoy making from time to time. Now granola always gets a bad rap because while it is always delicious, it is usually loaded with calories and sugar,has a measly 1/4 cup serving size of deliciousness, and isn't very filling. When I went to Expo East in September (throwback recap one of these days? ), of course there were lots of granola and cereal companies. However I tasted San Franola and was blown away not only by how yummy it was but by it's nutritional stats. They are also based out of San Francisco, a city I love, and had a super cute guy working their booth which helped. 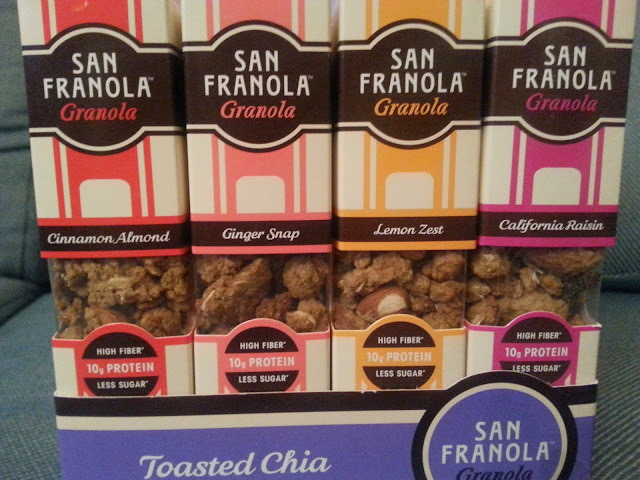 I was super excited to have San Franola follow up with me after the expo about doing a blog review & giveaway. 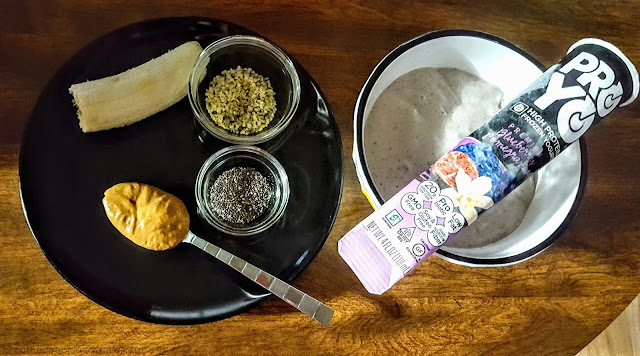 Bakery on Main Gluten-Free Instant Oatmeal Review & Giveaway! Disclaimer: I was given boxes of Bakery on Main oatmeal to review and giveaway on my blog. I am a Bakery on Main Brand Ambassador but received no compensation for this post. All thoughts and opinions are my own, as always. 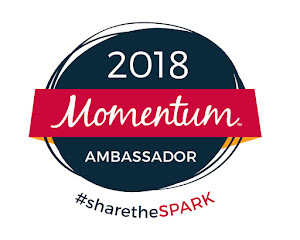 As a Truebar-fueled athlete I had reviewed Bakery on Main's yummy Truebars a while back and am now a Bakery on Main brand ambassador. If you didn't know, Bakery on Main has a whole line of yummy gluten-free products including bars, granola and oatmeal! I'm a big cliche and love ginormous fluffy bowls of oatmeal topped with nut butters so I was really excited to try out Bakery on Main's gluten-free instant oatmeal. I'm usually an oatmeal on the stove top kinda gal, but many mornings I'm short on time and that just isn't happening. 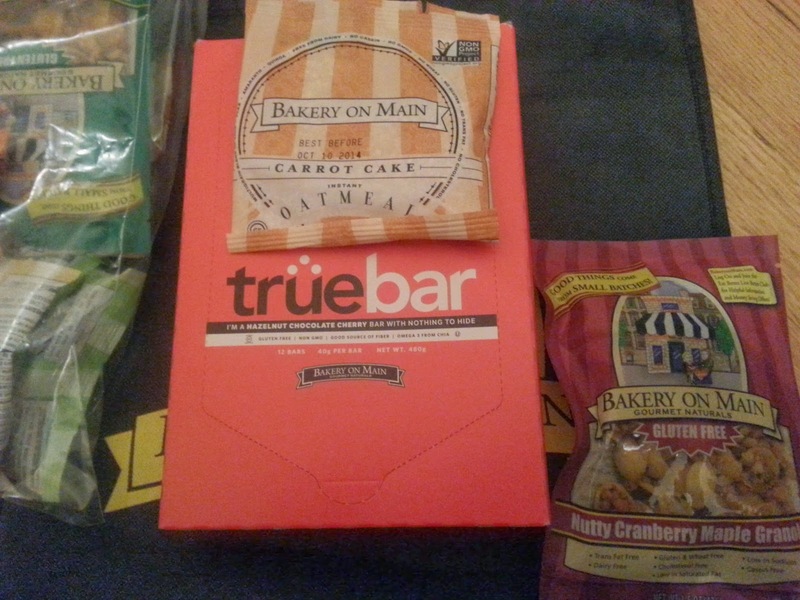 I was lucky enough to have a few boxes of oatmeal sent to me with my recent half marathon training Truebar package! 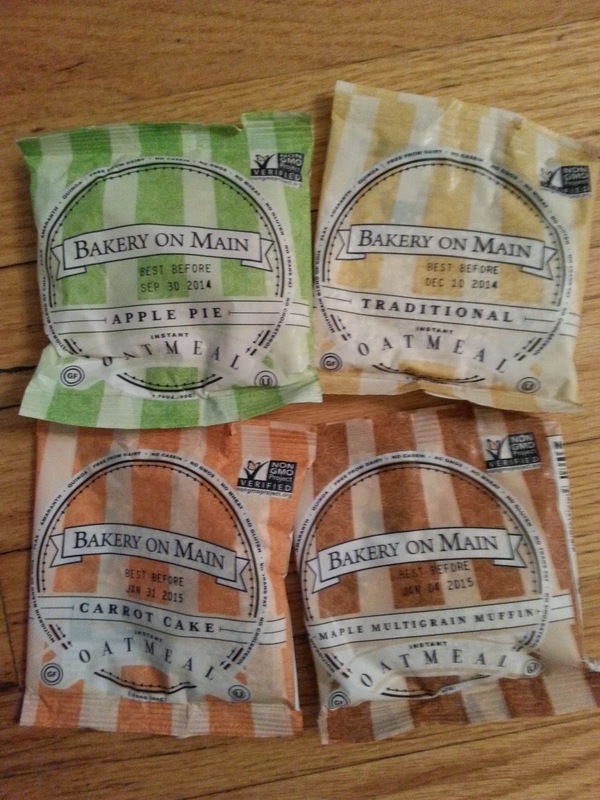 What first caught my eye was that Bakery on Main oatmeal comes in unique flavors like apple pie, strawberry shortcake, blueberry scone, carrot cake along with the usual maple multigrain and traditional flavors.